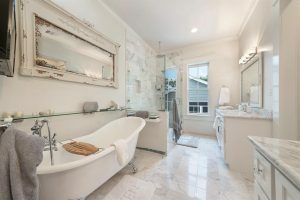 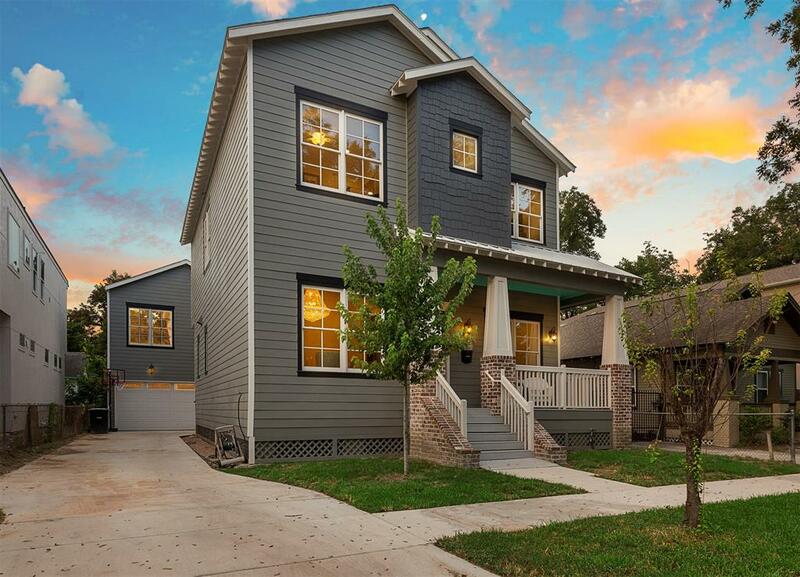 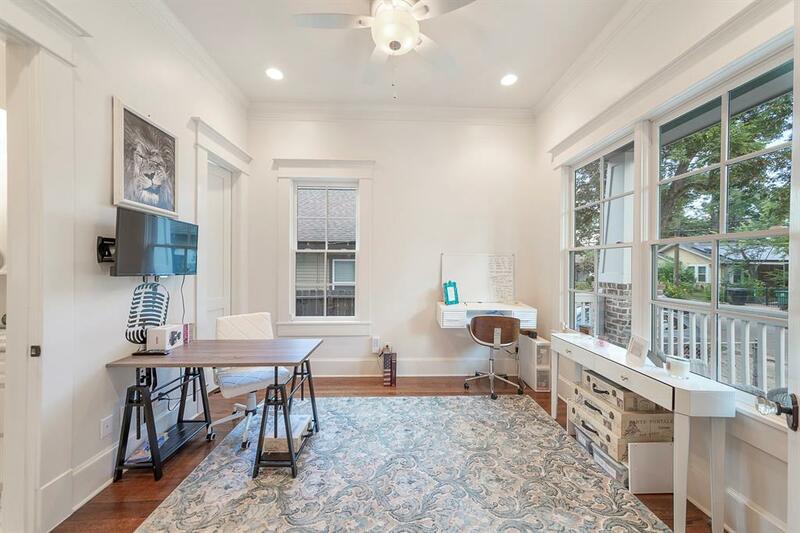 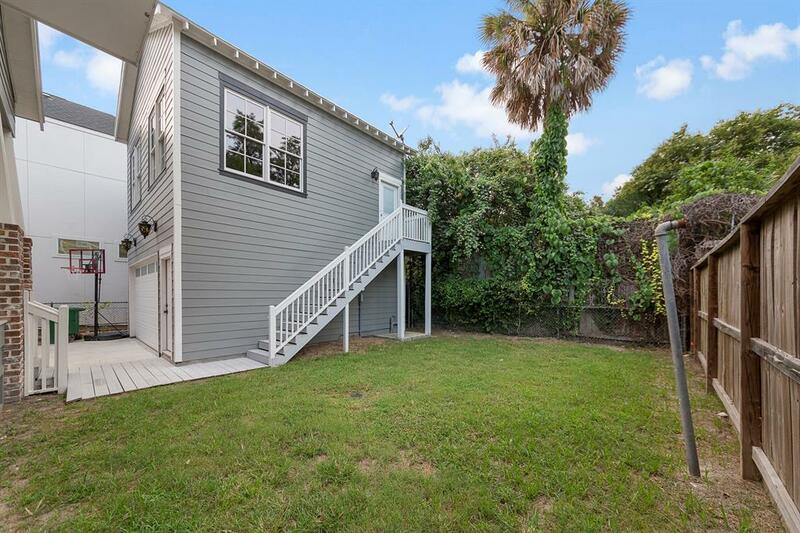 This beautiful home nestled in the Houston Heights is what dreams are made of. The historic & highly sought-after Houston Heights is well-known for it’s rich character, locally owned shops and boutiques, and incredible restaurants. 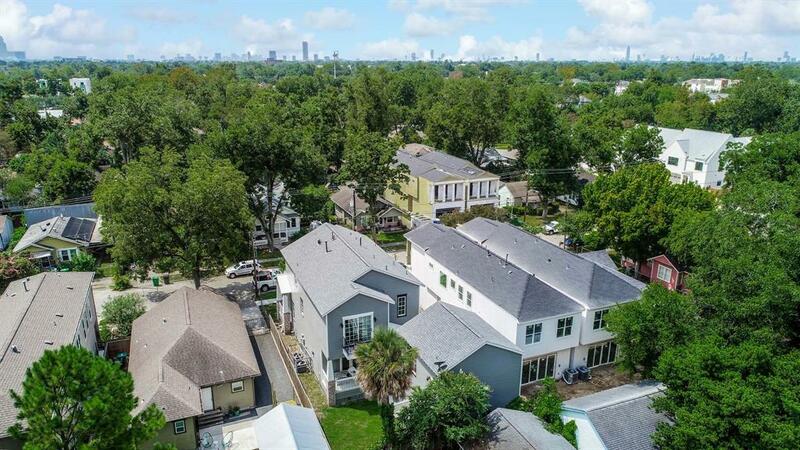 Enjoy live entertainment at White Oak Music Hall or take part in the vibrant nightlife, which is teeming with the city’s trendiest bars and breweries. 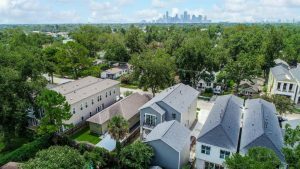 For those who enjoy an active lifestyle, the Heights Hike and Bike Trail offers glimpses of the neighborhood’s unique Victorian and turn-of-the-century architecture. Located just 5 miles northwest of Downtown Houston, the area is just a short drive away from the Alley Theatre, The Hobby Center for the Performing Arts, Downtown Aquarium, and Minute Maid Park. 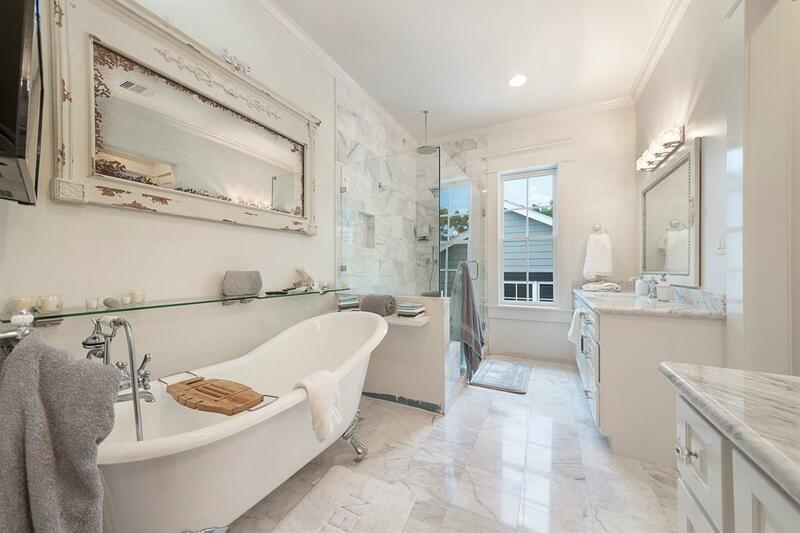 This property’s remarkable craftsmanship, combined with its proximity to major points of interest, make it a rare treasure that you don’t want to miss. 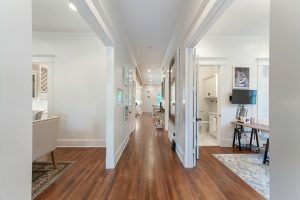 Guests will be in awe of this stunning residence from the second they step through the front door. To the left of the entry is an elegant formal dining room that is ideal for hosting everything from informal gatherings to soirees. Opposite the dining room is the study, which has been soundproofed for optimum privacy. 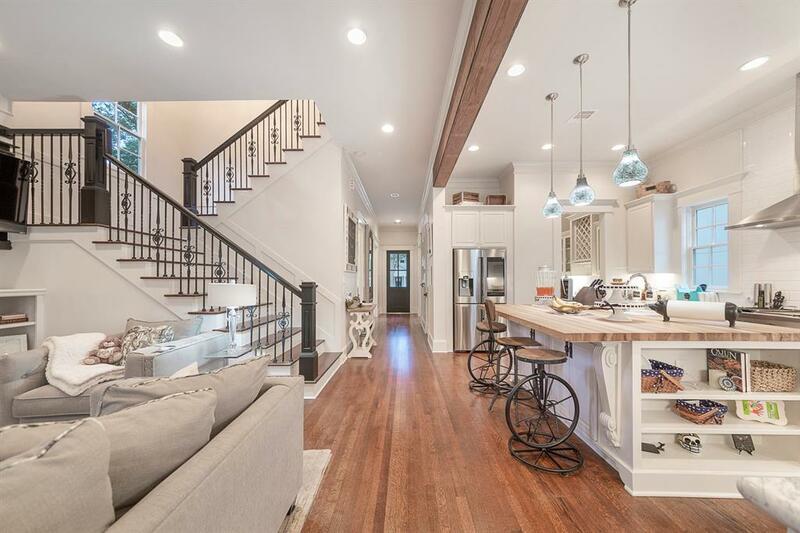 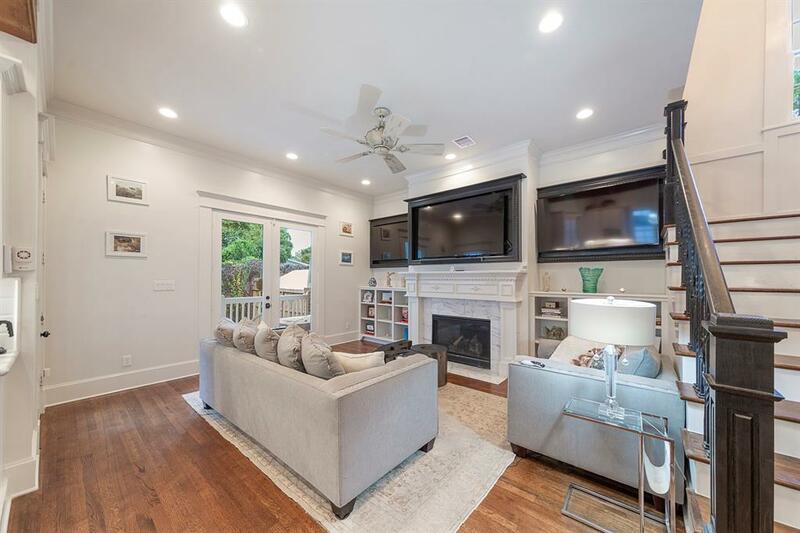 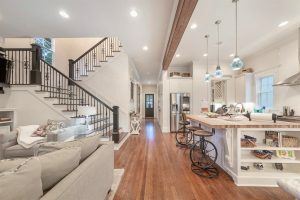 The open floor plan showcases traditional Heights architecture mixed with modern and southern style elements, including reclaimed oak hardwood floors throughout, bespoke trim work, 8 ft Craftsman doors, and an ornate gas fireplace with adjacent built-ins. 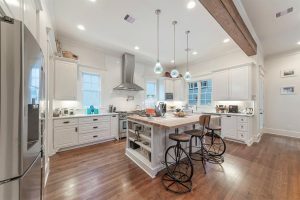 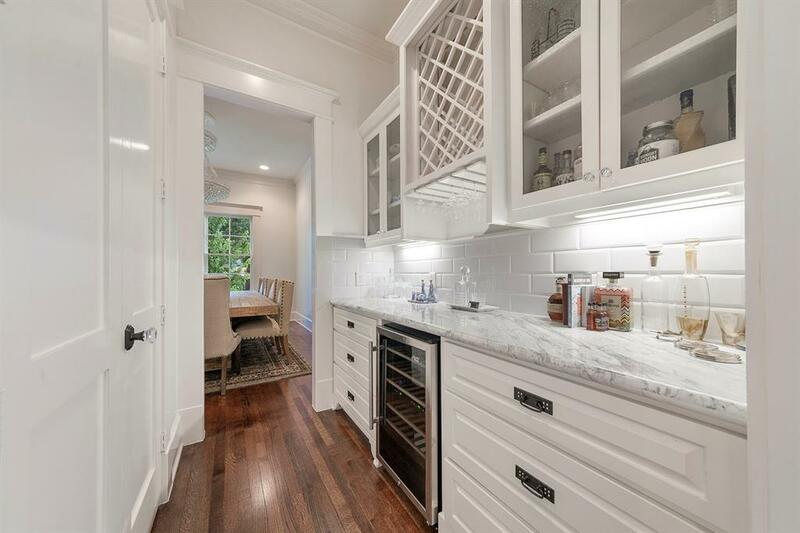 The chef’s kitchen boasts a butcher-block island, double cast-iron farmhouse sink, custom cabinetry, state-of-the-art appliances, and butler’s pantry with wine cooler. 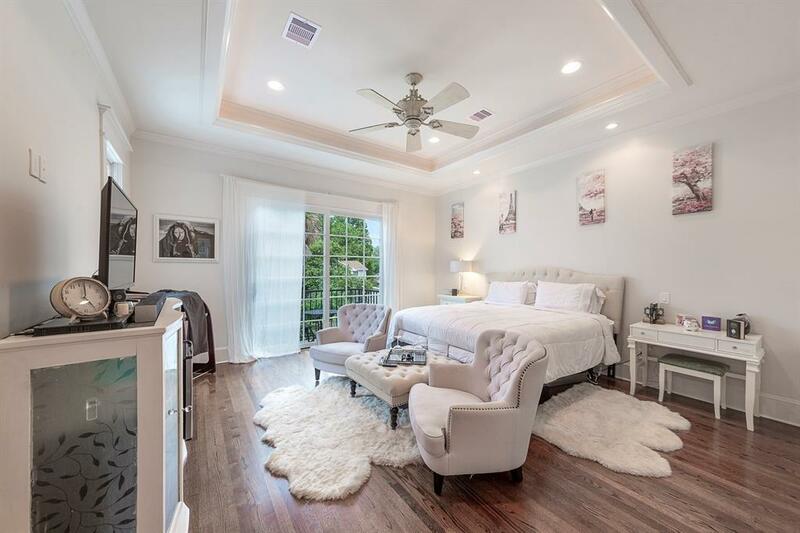 The resort-style master suite is ideal for pampering and relaxation with sliding French doors leading to the private balcony, tray ceiling, oversized walk-in closet, separate vanities, claw foot tub, and frameless shower. 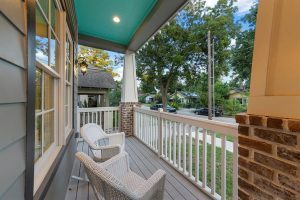 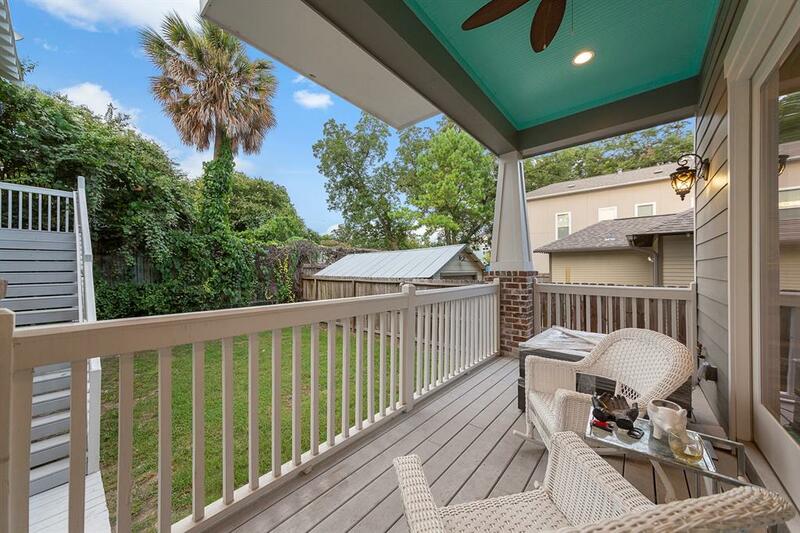 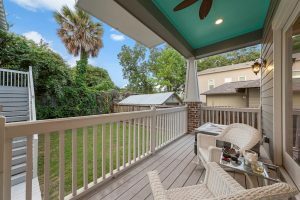 Property features front and back porches, which serve as the perfect setting for watching sunrises and sunsets while enjoying the company of loved ones. 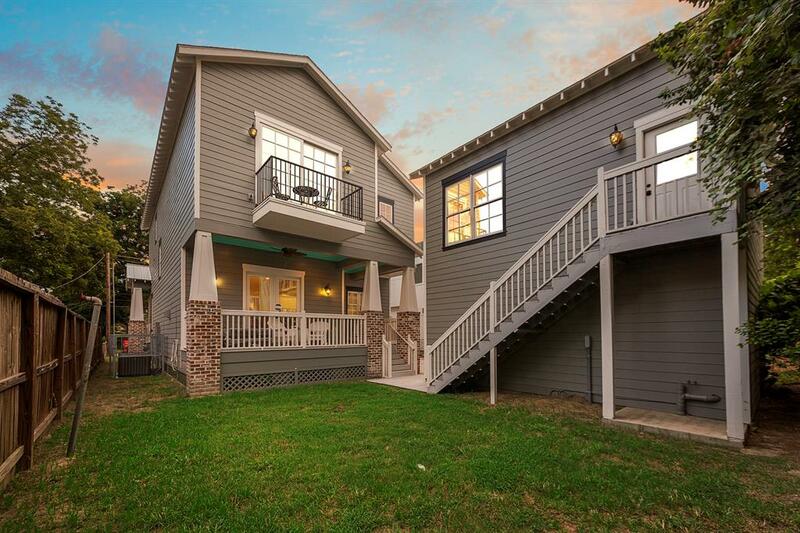 The 488-sq. ft. garage apartment is fitting for a multi-generational household or can be rented out to generate additional income. 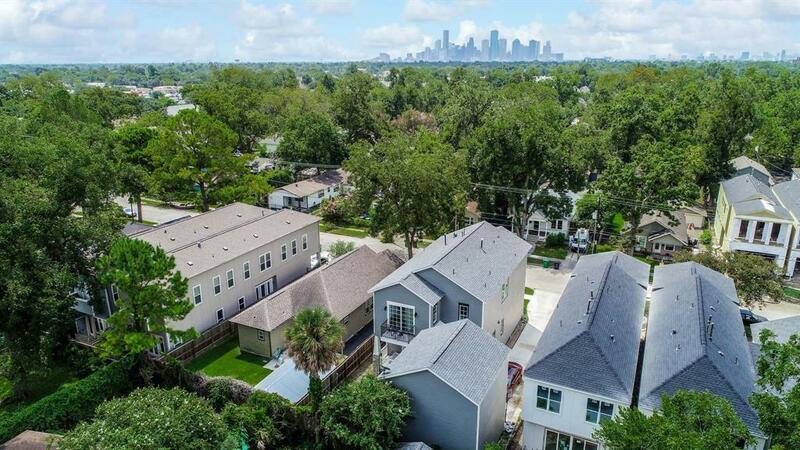 The surrounding landscape showcases Houston’s incredible beauty, complemented by a view of the downtown skyline.